The Blaze Smoker Box allows you to achieve the smoked flavor everyone loves with the convenience of your gas grill. Designed to be placed directly under the cooking grates, this smoker box adds outstanding smoky flavor to grilled foods, with no charcoal mess. Alternatively, you can add your favorite juice, wine or marinade to this sealed bottom box to add extra flavor and moisture to your meat. This smoker box is made with solid, heavy duty 304 stainless steel which will remain durable under high temperatures. 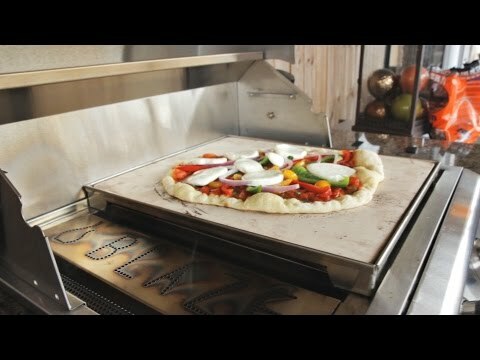 Designed for use with Blaze 25-inch 3-Burner, Blaze 32-inch 4-burner or Blaze 40-inch 5-burner gas grills. Not for use with Blaze Professional Grills. I mean it's a metal box that holds smoldering wood. Not rocket science. I've used this box to smoke brown sugar bacon and steaks. It works great. It's not huge so if you let the chips get too hot they burn up kind of quick. So use a hot glove, open it up and add more. Easy. Don't expect to turn a gas grill into a professional smoker with this, but it does work well for adding some smoky goodness when cooking with indirect heat low and slow. I really like it! Got this with my new grill. Have used it one time so far. Is fairly easy to put in place in the grill. At first I thought it may be a little difficult to remove the top to add more chips while cooking but turns out it was easy as the top warps once it gets hot. Opposite corners raise up, happens a little bit with the main box too but not as bad because of its sides. After it cools it all relaxes back to its original shape. I like that it has welded corners so it holds liquids. I would recommend overall as it fits nicely in the grill. I would not recommend this smoker box. I bought this because it was designed for my Blaze grill and was stainless; also my impression was that the chips would not flare up. I discovered that it was prone to warping when heated, loosing the seal and allowing the wood chips to flare up. Also it was difficult to add chips as the top fit so tight it was hard to handle when hot and using heat resistant gloves or pads. I tried to follow the instructions on the video, just didn't work well at all.